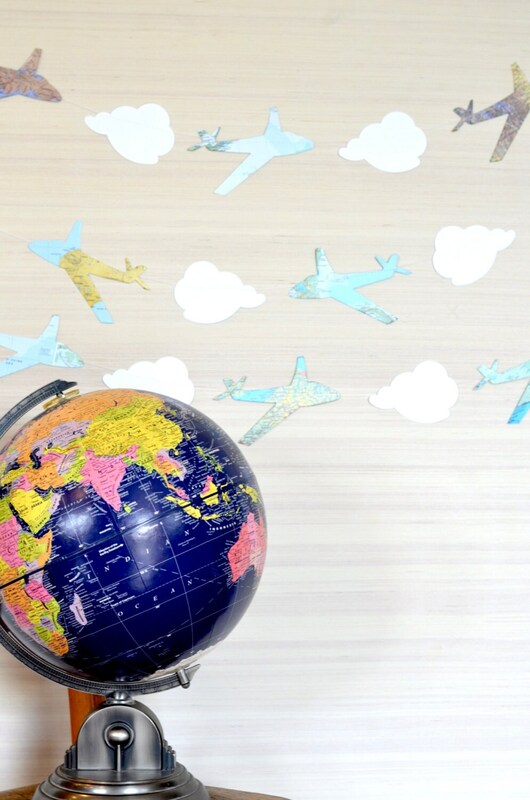 Your little aviators will soar with delight when they see this darling travel themed banner! 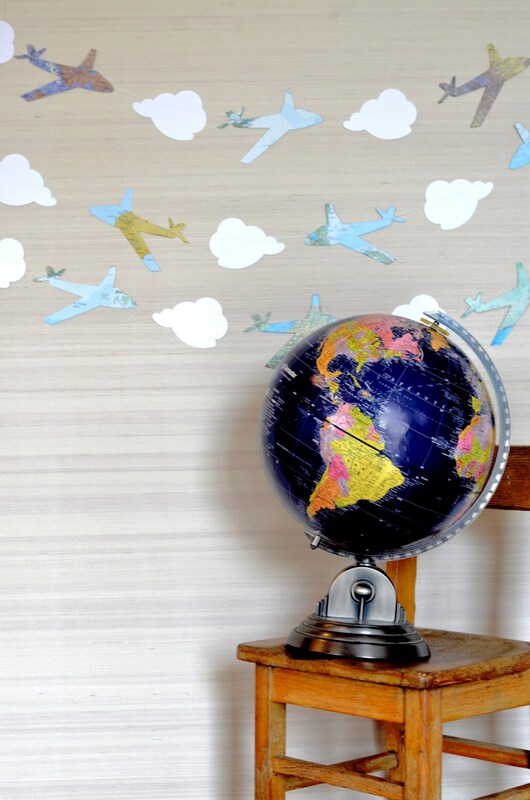 We make these garlands using clouds cut from white card stock and airplanes cut from vintage maps and atlases. 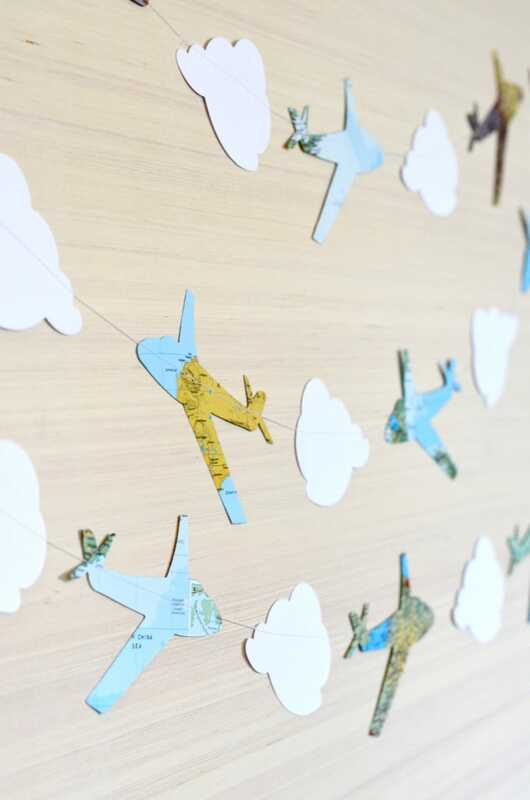 The clouds and planes are then stitched together to make the garlands, and you can choose from our 4-foot (perfect for over a crib or pinned to the front of a table) and 10-foot versions. The clouds measure 4 1/4" (10.75cm) across and the airplanes are 6" (15cm) from nose to tail. This was perfect for our aviation company picnic. It arrived very nicely wrapped and arrived in plenty of time. Thank you! Used this adorable garland in my classroom this year! Love it! Great custom product and fast turn around time!